Welcome to Bear Valley Unified School District! It is the mission of Bear Valley Unified School District (BVUSD) to educate, inspire, and prepare all students by creating innovative learning environments where students thrive academically, contribute to society, and lead healthy, purposeful lives. Our schools are filled with caring, creative and talented teachers and staff members who are here to partner with parents and the community to ensure our children in Bear Valley receive a premier education. 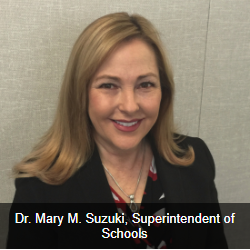 Bear Valley Unified School District is focused on preparing students for extraordinary futures! We believe that every child possesses infinite potential and it is our calling to empower our students to achieve at the highest levels. We accomplish this by providing a rigorous and relevant curriculum that engages students, promotes critical thinking, creativity, communication, and collaboration. Students in BVUSD are immersed in Science, Technology, Engineering, Arts and Mathematics (STEAM) at all school sites. Each year, our students have numerous opportunities to perform in the visual and performing arts. Our students benefit from hands-on experiences including opportunities for Place Based Education, Project Lead the Way, Coding classes, and Robotics. Students come first in everything we do. Mutual trust is essential in all our interactions. We always treat each other with dignity and respect. We embrace innovation and continuously strive to learn and improve. High expectations and perseverance are keys to success. Working together, in collaboration and partnership, we make a difference for students. Our vision is that all students graduate educated, inspired, and prepared to pursue their dreams. We believe that the partnership we create with you is essential to provide the highest quality education for our students.